More than 200 people are trapped underground after an explosion and a fire at a coal mine in Soma, western Turkey, that has killed several miners, officials said. Those trapped are about 1.2 miles below the surface and 2.5 miles from the mine’s exit. Search and rescue operations are taking place in Manisa province. It is estimated that 580 workers were underground at the time, but that many escaped. 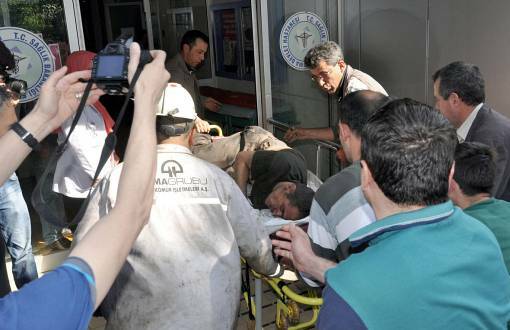 Quoting health officials, local lawmaker Muzaffer Yurttas told broadcaster NTV that 20 bodies had been retrieved and that at least another 20 workers had been taken to hospital. He said later that four people had been killed. “They died of choking and burns,” he said. A senior local official, Mehmet Bahattin Atci, said thick smoke at the privately owned mine was hampering rescue efforts. Energy Ministry Taner Yildiz is going to Soma to oversee the rescue operation, NTV said. Although Taner Yıldız mentioned “casualties” in his first statement after the accident, he warned that the death tolls reported in the press could be “misleading”, Hurriyet newspaper reported. “Various numbers can be reported. I don’t want to give any numbers. We first have to reach our workers underground,” he told journalists before leaving for Manisa. He also said four separate rescue teams were currently working in the mine. “The fire creates a problem but oxygen is being pumped into the mine shafts that weren’t affected,” he added. Analysts say the safety record of Turkey’s coal mining industry lags behind that of most industrial nations.